RECEIVE UP TO $50 OFF. Dr. David P. Nelson, O.D. 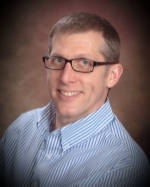 Dr. David Paul Nelson graduated from The Ohio State University College of Optometry in 1998. After graduation, he and his family moved to Madison. Dr. Dave practices full scope optometry with an interest in ocular disease prevention. He diagnoses, treats, and manages ocular diseases such as dry eyes, glaucoma, and macular degeneration. Dr. Dave prescribes the latest technologies in eyewear and contact lenses. For purist vision, he recommends digitally surfaced, thin, light lenses and determines the prescription that is right for you. Dr. Dave enjoys the challenge of fitting complex contact lens patients. Whether the problem is dry eyes, astigmatism, and/or near vision problems, Dr. Dave will find a contact lens that is right for you. Prior to entering optometry, Dr. Dave graduated from Iowa State University with an Industrial Engineering degree. He worked at the Quaker Oats Company as an industrial engineer, supervisor, and computer programmer. Dr. Dave enjoys spending time with his wife and three children as well as competing in half ironman distance triathlons. He is a member of the Wisconsin and American Optometric Associations (WOA/AOA) and sits on the WOA Executive Committee Board of Directors. He is also the Chairperson for the WOA Legislative Committee and travels to Washington D.C. every year to fight for patient’s rights to access optometrists through their insurance programs.